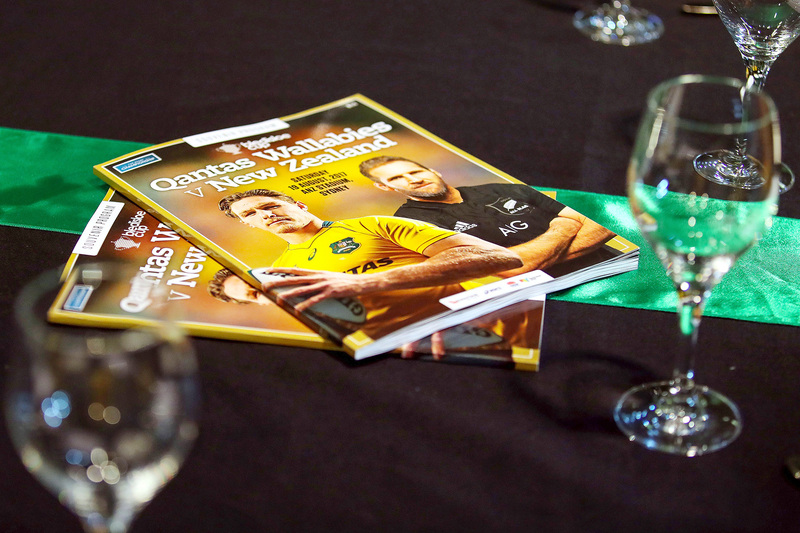 While the results on the field didn’t go the way of the home team, our guests were more than impressed with the hospitality provided in our Super Suite on Level 3 at ANZ Stadium to watch the first match of the Bledisloe Cup for 2017. 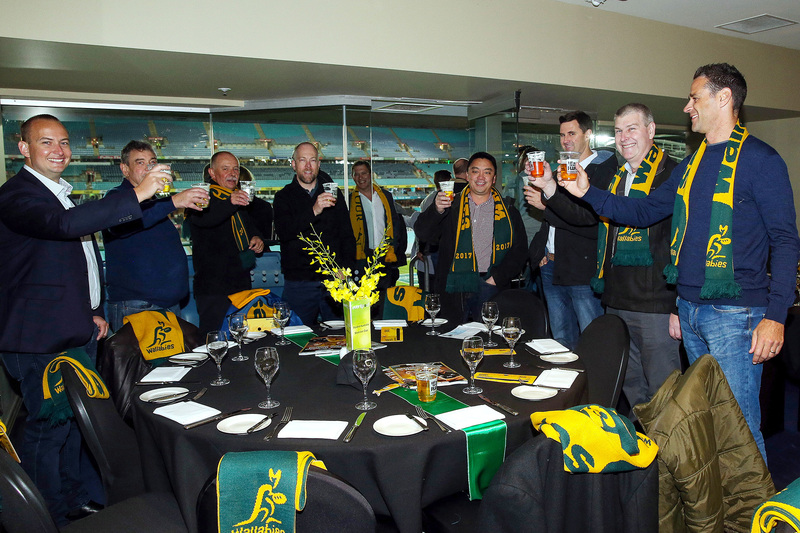 The cosy environment and relaxed ambience within the Super Suite allowed our guests to interact, mingle and enjoy a drink or two as the stadium started to fill in the background. The Super Suite is a great way to watch the action unfold, it’s a completely different experience from an outdoor box or as part of others in a dining room at the back of the Stadium. We were served a delicious buffet dinner with your choice of the finest beef, chicken and seafood culinary options with premium beer and wines at our disposal. 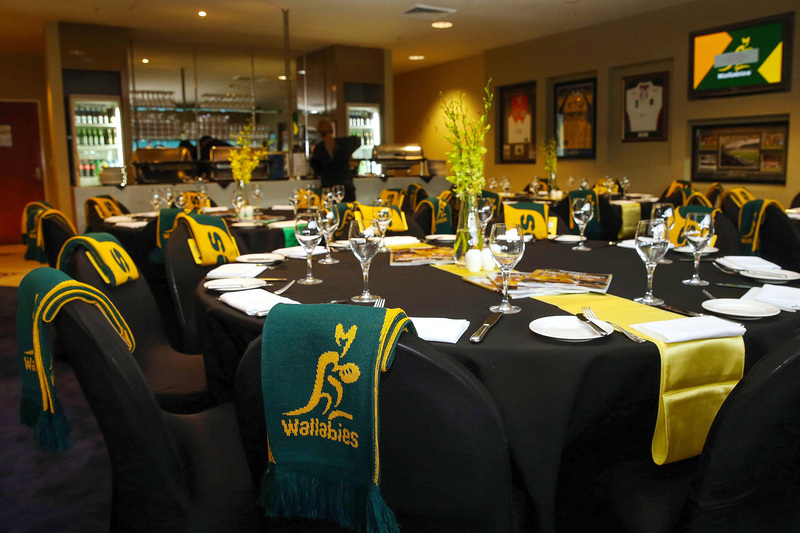 The included Wallabies scarf was a nice touch as our guests made their way to their seats outside only a few steps from their table, in time for the anthems, traditional All Black HAKA and then kick off for Bledisloe 2017. 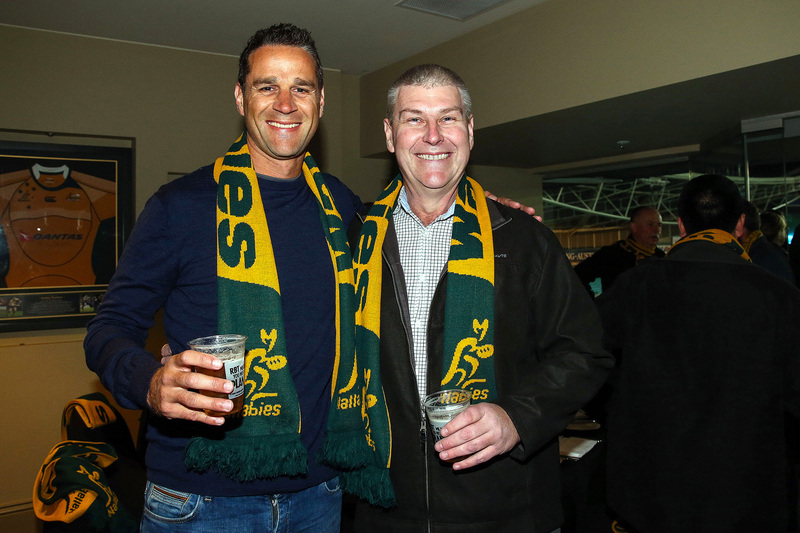 Whilst it was a carnage for the Wallabies on the field during the first half, there’s something about a warm glass of Cab Shiraz served by the attendants directly to your seat that slightly eases the anguish taking place before your eyes. At half time we were treated to a selection of delightful deserts and a chance to digest the 40 – 6 score line, wondering if the result was going to look more like a cricket score than a Rugby Test. Some chose to stay inside for the kick off of the second half and enjoy some more gourmet finger food delights but when the Wallabies finally started to kick into gear everyone was back in their seats and relieved they actually won the second half with a final score of All Blacks 54 – 34. 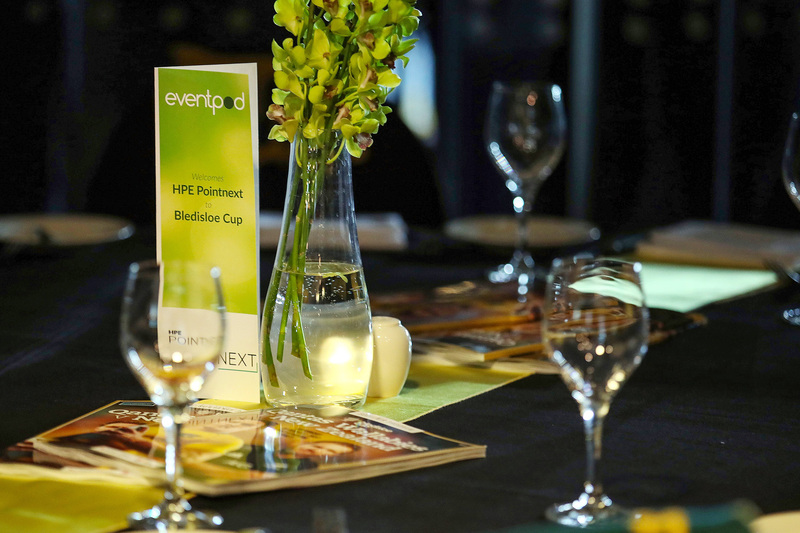 The evening finished with a post match opportunity for our us to enjoy a last drink or two with our guests, let the traffic outside subside and depart knowing we had just experienced a truly memorable evening of VIP hospitality from eventpod.